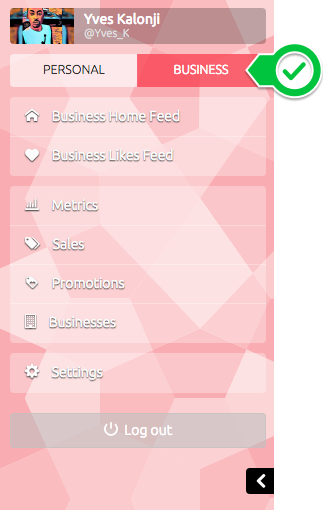 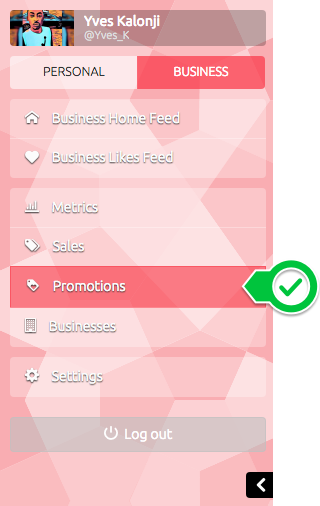 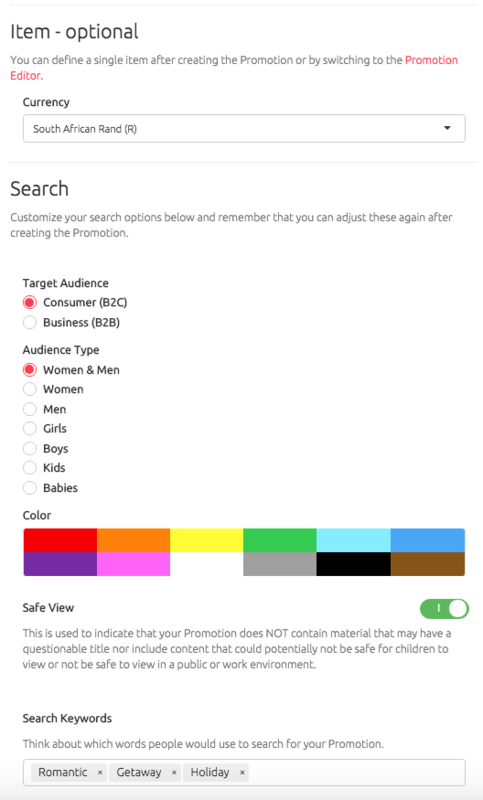 Select the Business mode to create your Promotion. 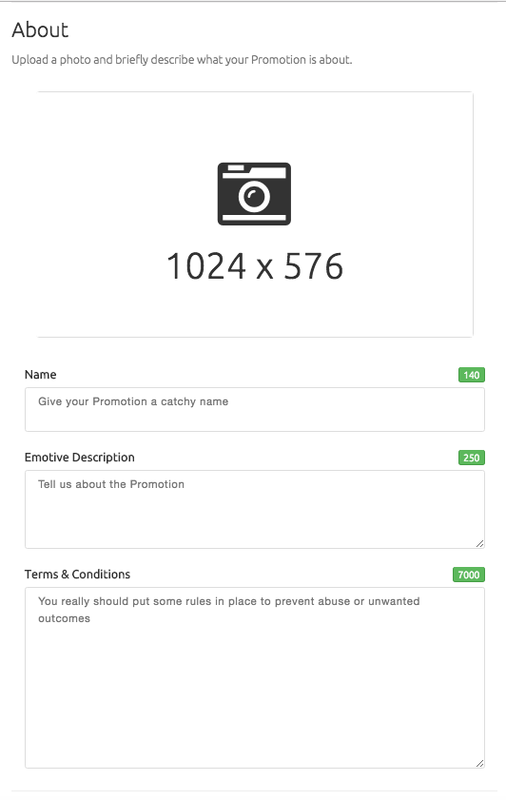 Select the Create a Promo icon. 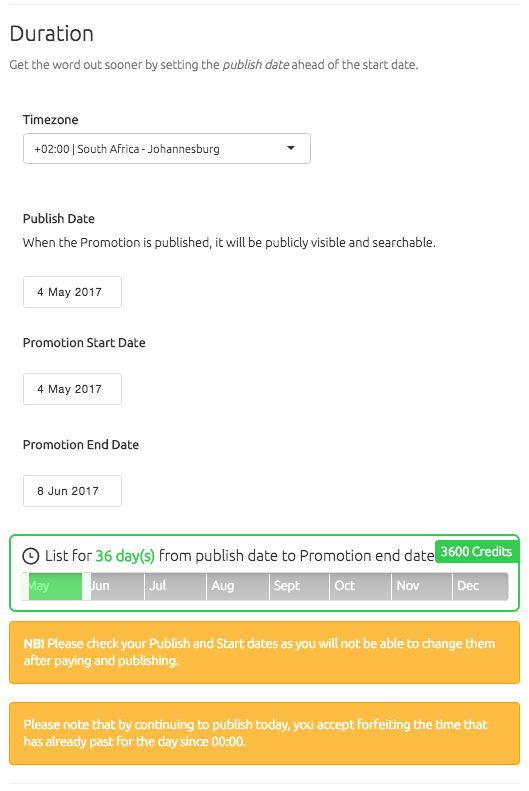 Enter the relevant information needed to complete the Promotion. 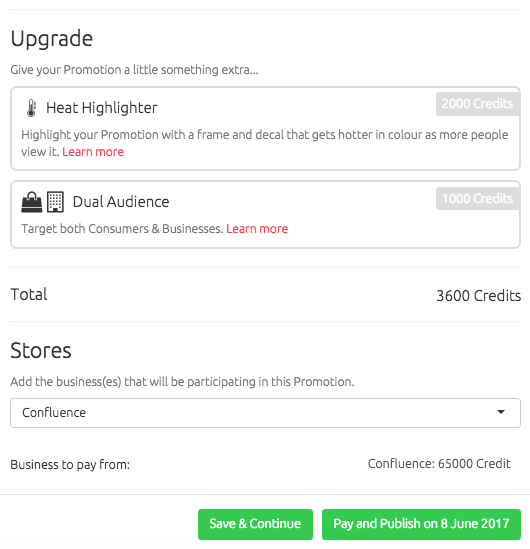 Once you are close to completing the details needed to create your promotion, decide whether you would like to add one of your other businesses to participate in the promotion. 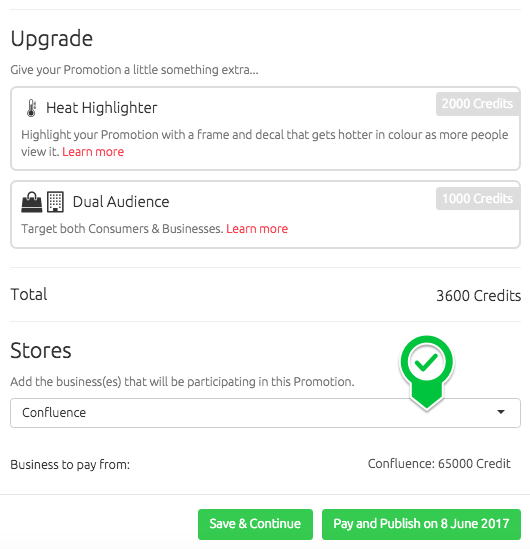 If you choose to add a participating business, the participating business can also pay for your promotion.